The 2019 Jeep Renegade delivers on all of its promises. 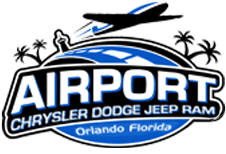 Orlando, Florida drivers are obsessed with the Renegade because it embraces the new with its updated fuel-efficient 1.3L Direct Inject Turbo Four-Cylinder engine. If you're excited about the updates to the new 2019 Jeep Renegade, be sure to explore all of our new trims and new car specials now. The new 2019 Renegade offers an all-new 1.3L turbo engine which pairs well with the available 4x4 systems. Thanks to these upgrades, drivers can tow more than ever before and enjoy choices when they explore capability. The new 1.3L turbo engine comes with a nine-speed automatic transmission and a direct injection system. The engine delivers an estimated 32-mpg on the highway and channels up to 177 horsepower with 210 lb-ft of torque. Don't forget about the Engine Stop/Start Technology, which makes the Renegade more of a powerhouse than a vehicle. Thanks to the Renegade's performance upgrades, you're ready for whatever the road offers. There are over 70 standard and available safety systems inside the Renegade, which ensures that it is as smart as it is capable. Features like the available Adaptive Cruise Control with Stop will automatically adjust your vehicle's speed to maintain the pace with traffic flow. The available Blind Spot Monitoring system works like a second set of eyes as you change lanes, which makes it easy to catch objects in those pesky blind spots. Thanks to Jeep's available LaneSense® Lane Departure Warning with Lane Keep Assist, audible alerts will notify you lane drifts and move you back into the lane. 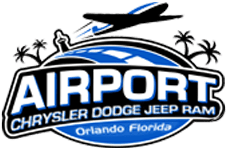 To learn more about the inventive safety systems inside the Renegade, contact our CJDR professionals near Kissimmee, Florida. If you're ready to blow the minds of neighbors and coworkers alike, finance a new 2019 Jeep Renegade today. We offer tons of lease options for those who love Jeeps but don't like commitment. Ask our team about the available financing options and we'll surely help you find a program that fits your needs.